Small cracks occur mostly due to shifting or natural settling of the ground. If you leave them unrepaired, they will become enlarged because of the effects of annual freezing and melting cycles .The cracks can become big enough for weeds to take root and within a few years you may need to resurface the entire driveway. Products for patching small cracks on concrete are available in almost all home stores. Salt and chemical deicers usually eat into the surface of the concrete drive and it starts to deteriorate. It is always a good idea to spread sand on icy patches to provide traction during winter. You simply need to sweep the sand away in the spring. Things like shovels and metallic ice chippers, which have metal edges, can easily damage the surface of your drive. Simply don’t use them on your drive . Instead use plastic snow shovels for clearing snow from the driveway because they do not nick the surface. If you decide to use a snow-blower, ensure the blades are raised high enough to avoid scraping the surface of the driveway. Never change the oil in your car on your driveway because spilled oil will create an ugly stain. Whenever you notice any spills or drips on the surface of the driveway, try to get rid of them using an absorbent product such as sawdust, corn meal, or kitty litter. After soaking up most of the spill, remove any residual marks by scrubbing with water and soap. You can also use one of the commercial concrete cleaners which are available in hardware or home stores. 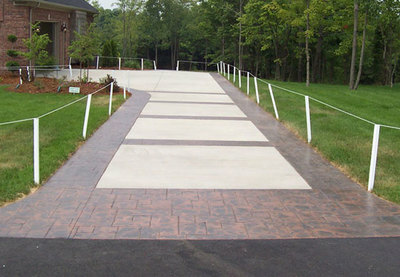 Concrete sealers come in handy when it comes to protecting the surface of your concrete driveway. They help prevent water from getting into the porous surface thus delaying the effects of weathering. However, time and traffic will eventually wear out the sealer and therefore it will become necessary to reseal the surface in order to maintain the protection. 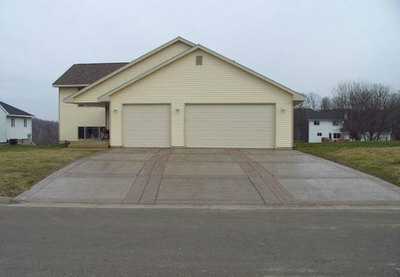 Normally, resealing is done every 3-5 years, but you can do the resealing more frequently if your driveway is used a lot. How often you clean your driveway depends on the amount of traffic it gets and the amount of pollutants in the air. You can power wash your driveway using a home pressure washer to keep it clean. You can do this once every couple of months. Alternatively, you can hire a professional concrete cleaning company to do the washing for you like Pressure Cleaning in Sydney. These are some of tips that will help you maintain your concrete driveway in good shape for a considerable period of time.